Erm...the game doesn't go to fullscreen all that well in my machine and was somewhat slow to switch back. It wouldn't fit (I have a square-ish monitor). Also, if you reverse and go forward at the finishing line, you get one hell of an amazing lap time. One way you could prevent this is forcing the player to complete a few invisible checkpoints. I would also reverse the arrows. My mind glitched badly on this =P I was in fact trying to go around the finishing lane thru the grass but simply gave up. Hello! Thanks for the feedback! 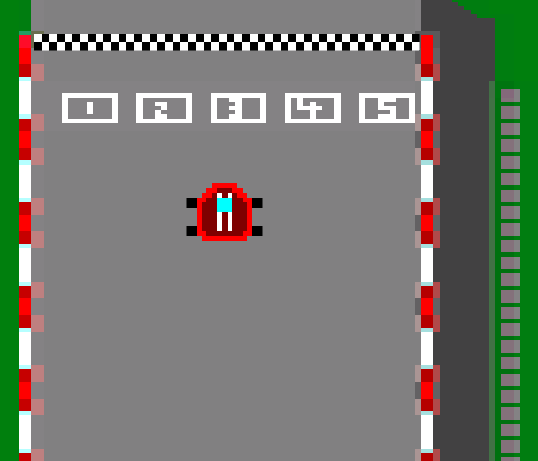 I have added your checkpoint suggestion and fixed the controls in the latest update! I don't imagine it's supposed to look like this...? how did that happen XD. I apologise for that. I've not quite come across that before. The left and right arrow keys turned the car the opposite direction I would have expected. 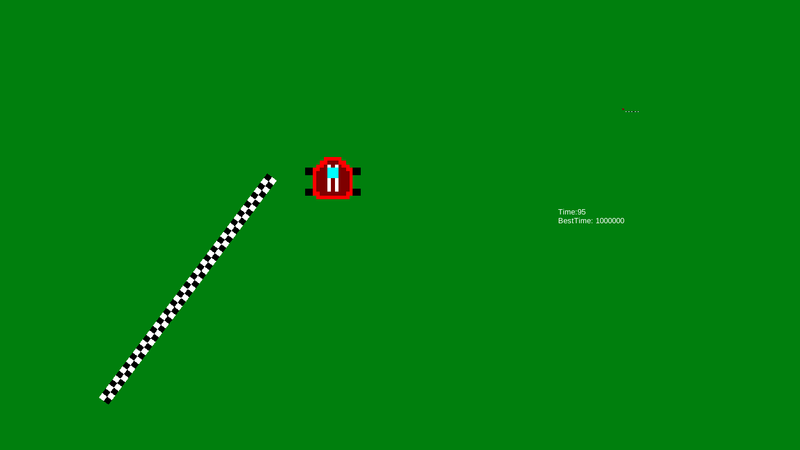 The car should probably also move slower if it is off the track, otherwise there is no reason to follow it. Thanks for the feedback! 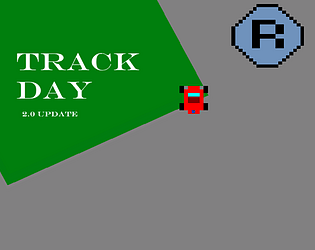 I am going to fix the bug very soon with the left and right arrow keys. Sorry for that, for now I hope you can adapt. I chose to keep the speed on and off the track because the user is not meant to follow the track all that much. Every corner you can you can cut is designed for you to do that. Thanks for your feedback once more and I apologise for the bug. I greatly apologise for the controls, they are the defaults for the control method I used. I am going to try to fix them after the jam, I hope you can adapt to them while you await the update! The Left and Right (AD in WASD too) were inverted for some reason and I would go against invisible barriers far from the gray track so I wasn't entirely sure if the times I was doing were fair. Hi, I am very sorry for the controls, it seems to be the default for the control method I used. I hope that you can adapt to the controls after a while. Also, if the game lets you do it, it is completely fair. 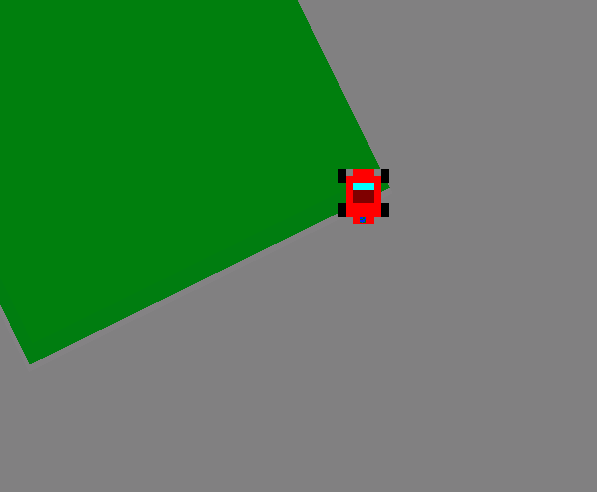 Thanks for playing and I am so sorry for the controls, I will try and fix them after the jam. My best is 719 but the lowest possible score varies on computer... I am not aware of your bug, it seemed fine in testing, maybe you have the controls mixed up? I don't know, thanks for playing! More people have come to me with your issue. I apologise for this, it seems to be the control method that I used. I hope that you can adapt to the controls. I will try and release a bug fix after the jam.